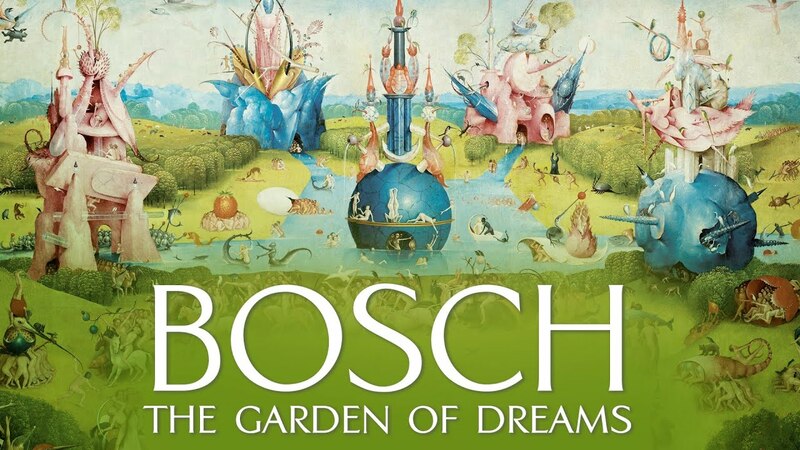 A mystery within a mystery, the painting “The Garden of Delights” is the most famous and intriguing work by Hieronymus Bosch. In 2017 the world celebrated his 500th anniversary. Through unique exclusive access granted by the Prado Museum – such as witnessing the processes of X-raying and restoring the painting - the film explores and seeks to unveil all the unanswered questions about the painter himself and the painting, as well as to explain the inspiration that it has had in writers, painters, and musicians from all over the world. The film includes such notable figures as Orhan Pamuk, Salman Rushdie, Renee Fleming, William Christie, Philippe de Montebello, Ludovico Einaudi and John Eliot Gardiner. "Without a thread to follow, nor a narrator to guide us, the director interviewed some thirty personalities of culture and science (Cees Noteboom, Laura Restrepo, Orhan Pamuk, Miquel Barceló, Michel Onfray, José Manuel Ballester, William Christie) to give their testimony. There's Salman Rushdie, there are conductors, philosophers. And the thoughts are of the most varied reason why each one understands the work, its meanings and signifiers." "It’s a thoughtful seminar on an artwork that has endured for centuries and will inspire gallery-goers for many more. A series of talking heads featuring art experts, historians, and art lovers (including author Salman Rushdie) dive into The Garden of Earthly Delights. They offer an appreciation of the work’s resonate depiction of Heaven and Hell. López-Linares captures the scale of Bosch’s work and the extraordinary detail of the piece through close-up analysis on the visual level of the canvas as well. Audiences get a full view of the artwork’s provocative bacchanal and there’s lots to savour and consider." Finding unexpected beauty in the discarded and decayed, photographer Rosamond Purcell has developed an oeuvre of work that has garnered international acclaim. An inspiring documentary chronicling the life and career of renowned painter Jon Imber, who faced great adversity after being diagnosed with ALS.